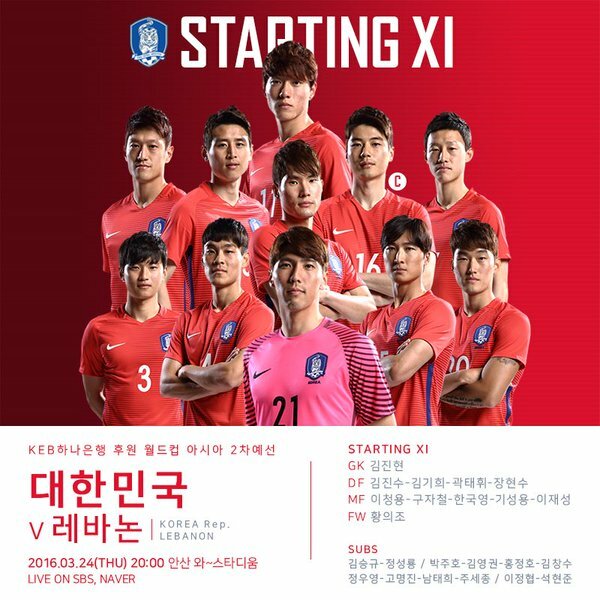 Starting 11: Kim Jin-Hyeon, Kim Jin-Su, Kwak Tae-Hwi, Jang Hyun-Soo, Lee Chung-Yong, Koo Ja-Cheol, Han Kook-Young, Ki Sung-Yueng, Lee Jae-Sung and Hwang Eui-Jo. Subs: Kim Seung-Gyu, Jung Sung-Ryong, Park Joo-Ho, Kim Young-Gwon, Hong Jeong-Ho, Kim Chang-Soo, Jung Woo-Young, Ko Myung-Jin, Nam Tae-Hee, Ju Se-Jong, Lee Jeong-Hyeop, Suk Hyun-Jun. Korea won 1-0 thanks to a goal by Lee Jeong-Hyeop in injury time. Lee Jeong-Hyeop proves to Uli Stielike again he is worthy of playing in the national team. Lee Jeong-Hyeop and Kim Jin-Hyeon joins the national team in months as they have been struggling with injury woes. 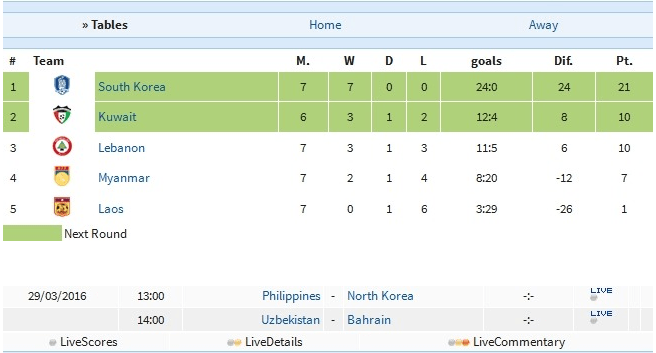 To be honest, Korea was the far better team but couldn’t finish. A situation we are all too familiar with. The players that played great were Kim Jin-Su, Lee Chung-Yong, Koo Ja-Cheol and Ki Sung-Yeung. Hwang Eui-Jo seemed to be struggling in the striker position, he had many chances but couldn’t finish. Koo Ja-Cheol was subbed out in the middle of the match and was replaced by Nam Tae-Hee. It looked like a serious injury but we will find out in a couple of days if it’s serious or not. Our defenders and Kim Jin-Hyeon had quite a comfortable match as the ball was mostly in Korea’s favor. Coach Stielike has a lot of work to do before facing Thailand. I know Thailand will be quite a easy match but Stielike has to work on his starting 11. Is Stielike starting 11 weak or is Son Heung-Min’s void that big? Please free feel to write about your take on the game in the comments section as this was a short recap. We are currently leading group G by far, we are with 21 points with 0 goals conceded. Also, Kim Jin-Hyeon and Koo Ja-Cheol will be returning to their respective clubs so they won’t be joining the International friendly against Thailand on Sunday. Thanks for the write up. I was watching the game here PST@4AM here in the sunny west and to be honest, it was very disappointing as I thought Korea would dominate scorewise 3-0 or something. 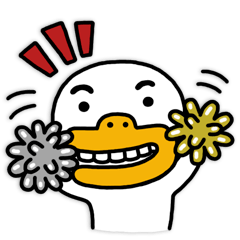 However, the last goal by LJH was good and I was worried we were going to be just satisfied with a draw which isn’t a good scenario for the final qualification round seeding. Korea indeed dominated (ball possession ratio of 7 to 3) but their finish was lacking. This was a game that proved we need KSY for sure. I’m worried about our upcoming matches with Spain and Czech in June as I heard he might not be able to participate due to military exercise. Do you think we’ll do good against Thailand this Sunday? Let me know. Welcome to our blog and thank you for your comment. I don’t think I’ve seen you before. Yes, the game was quite disappointing as everyone assumed we will be dominating the game and scoring some more goals. We were actually dominating and had the most ball possession in the game but couldn’t convert our chances. Yes, we indeed need to take all our World Cup Qualifiers and friendlies seriously as will be tackling stronger teams in the coming months. We are definitely the better team against Thailand by far and Uli Stielike is planning to go out all for this game. He said in a recent interview he is going to make a lot rotations which is good news as some players will be making their A debuts and we can see some other fresh talents. Park Joo-Ho, Hong Jeong-Ho, Kim Chang-Soo, Suk Hyun-Jun are the favourites to start. Suk needs more playing time…a player his quality wouldn’t squander I believe. thanks for your comment. Suk Hyun-Jun didn’t start against Lebanon because he just joined the national team as his flight got delayed and Uli Stielike said he didn’t start him as he didn’t get enough training with the team. He is one of the favourites to start against Thailand, I think he will help us up front with his strength and height. Yes, I had mixed feelings with Lee Jeong-Heop being called up for the national team too. But he did produce the only goal and Steilike seems to like him a lot. Hopefully he can show us his true talents in the upcoming games. Was it LCY that dribbled and assisted that goal? if so, goddamn, that was amazing! LJH works really hard, only if he had a bit more flair and talent to back up his selections, nonetheless it was a good finish! thanks for your comment. It was actually Ki Sung-Yueng who provided that great assist to Lee Jeong-Heop. But Lee Chung-Yong was great in the game too, he made some good dribbles and his passes were on point. Can’t wait for tomorrow game against Thailand.